Dodd-Frank’s whistleblower provisions may be more effective than originally anticipated, but will they lead to increased corporate compliance? The whistle blower rules have received cristicism from some who believe the procedures will hinder compliance procedures rather than improve them. The liberal Whistleblower provisions have also raised concerns about the already overcommitted SEC being overwhelmed by frivolous claims by employees who view the program as a lottery with multi-million dollar payouts. For previous coverage of Dodd-Frank updates in Advisor’s Journal, see Is Barney Frank’s Resolve to Implement Dodd-Frank Weakening? (CC 11-95). Cerftified Financial Planners (“CFPs”) and CFP applicants can longer hide their discplinary history behind the shield of client confidentiality. At the request of the Certified Financial Planner Board of Standards, Inc. (“CFP Board”), the Securities and Exchange Commission (“SEC”) issued a no action letter that gives brokers and advisors unlimited discretion to share customer complaint information with the Board without fear of reprisal from the SEC. The no action letter eradicates advisors’ ability to assert client confidentiality as a justification for not disclosing customer complaint information to the CFP, giving the Board free-reign to scour members’ backgrounds. For previous coverage of the financial planning industry in Advisor’s Journal, see Wall Street Reform Act Mandates Study of Financial Planning Industry (CC 10-73). For in-depth analysis of financial planning concepts, see Advisor’s Main Library: A – The Need For Financial Planning. The dynamics of the confidentiality is enduring change. Certified Financial Planners (“CFPs”) and CFP applicants can no longer hide their disciplinary histories from the CFP Board under the shield of client confidentiality. At the request of the Certified Financial Planner Board of Standards, Inc. (“CFP Board”), the Securities and Exchange Commission (“SEC”) issued a no action letter that gives brokers and advisors the to share customer complaint information with the Board without fear of reprisal from the SEC. The no action letter removes advisors’ ability to maintain client confidentiality as a justification for not disclosing customer complaint information to the CFP, giving the Board free-reign to scour members’ backgrounds. What impact will this heightened need for disclosure have on the advisor- client relationship? FINRA is continuing its recent power-grab in the face of a largely impotent and underfunded Securities and Exchange Commission. As the next stage in an increasing series of regulations and information reporting requirements, plans are in the works for a new-and-improved examination program that could further increase the information reporting requirements of member firms and significantly increase their compliance burden. For previous coverage of FINRA regulatory action in Advisor’s Journal, see Broker Bonus Arbitration Bottleneck Forces FINRA to Reconsider Arbitrator Qualification Standards (CC 11-08), SEC Approves FINRA Suitability and Know-Your-Customer Rules (CC 11-17), & New FINRA Rule Restricts Brokers’ Outside Business Activities (CC 10-110). Are Portfolios-to-Go Threatening Full-Service Brokerage and Advisory Firms? A growing number of consumers are opting for pre-packaged, low-cost portfolio managers. Portfolio-to-go companies can, at least nominally, provide many of the same services as full-service brokerage firms, since the companies are registered as either investment advisors or broker-dealers. And minimal overhead and services allow them to offer those services without the “high” price tag at brick-and-mortar institutions. Portfolios-to-go have exploded in popularity recently, bringing in over $3 billion in assets over the past three years. Read this two-page article by linking to AdvisorOne – a National Underwriters Summit Business open-access original content wealth management news portal. Despite Congress’s best efforts after the recent economic meltdown, a cadre of Wall Street’s biggest banks still dominates the derivatives markets, leaving some observers wondering whether the transparency the Act was supposed to bring was just a well-intentioned but overly optimistic dream. The Dodd-Frank Wall Street Reform Act (Act) gave the Commodity Futures Trading Commission (CFTC) and Securities and Exchange Commission (SEC) extensive new authority over participants in the derivatives and swaps markets. But the transparency and equity many hoped the Act would bring to the markets is bottlenecked in the agencies charged with implementing the legislation. 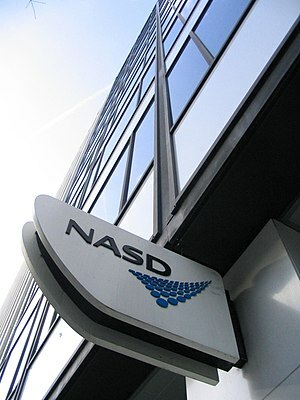 The CFTC was scheduled to consider conflict of interest rules for swap execution facilities, derivatives clearing organizations and designated contract markets at their January 13, 2011 meeting, but disagreement about the scope of the rules resulted in the items being nixed from consideration at the meeting. For previous coverage of the Dodd-Frank Act in Advisor’s Journal, see Dodd-Frank Wall Street Reform and Consumer Protection Act (CC 10-35) and Wall Street Reform Act Mandates Study of Financial Planning Industry (CC 10-73).